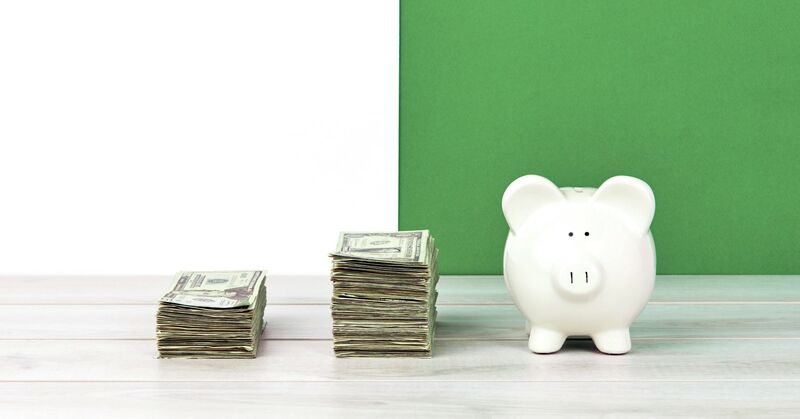 The Complete Guide to Saving Money: Our 75 Favorite Tips—Ever! If learning how to save money were a sport, reading this post would feel like cheating. Why? Because we have so many money-saving tips packed into one place! If you follow enough of these, you will win with money. And because we know you aren’t here for a gripping introduction, we won’t stretch out the beginning. Let’s get right to the savings tips. Meal planning: healthy for your body and your budget. Create a calendar of meals for the week, starting in your own kitchen. Find out what you already have, see what’s on sale at the store, and look at recipes. Yes. All three at once. They work hand in hand (in hand). And let the first two guide the last. Dinner isn’t the only thing to plan out. Don’t forget beverages, lunch, breakfast and snack foods. If you build your meals and grocery list around what’s on sale that week and what your pantry and freezer already offer, you’ll save more and waste less. And check it twice. Once you know your meals for the week, and what ingredients and items you already have, you can make a list of everything else you need. The best shopping lists are organized by aisle or at least store section. This keeps you from going back and forth while shopping—which is one of the best ways to get caught up in flashy endcap temptations. 3. Don’t buy what’s not on your list. It’s time to be firm with yourself. Are you ready? Practice saying these words in your head: It’s not on my list. Remember that carefully crafted grocery list, guided by store sales and coupons? That list helps you escape the pitfall of the excuse, But it’s on sale! You knew what was on sale going in, and you knew whether you needed it or not. You’ve heard it before because it’s true: If you shop hungry, your stomach will steer your shopping cart. Snack before you shop, or you’re sure to overspend. Meat and three: It’s a common meal misconception. You can have a delightful dinner without using this standard practice. Not only is it often cheaper to change it up, it’s also simpler. Make a great soup in the slower cooker and serve with French bread and a salad. Now “lettuce” talk about what to do with the rest of that greenery sitting in the fridge. How about adding beans, salsa, cheese and chips for a meatless taco salad? Plus, you know that leftover soup’s going to make a lunch appearance this week. Don’t be afraid of simpler suppers! They can taste just as fantastic as a complicated dinner but can be stretched into other meals with some careful planning—all while reducing stress and spending! 6. Sample, but don’t buy. You can say yes to product demonstrators asking, “Would you like a sample?” But don’t forget your focus. You’ve got a list to follow and savings goals to hit. We’re all about a free sample. But don’t feel obligated to buy just because you tried. Try an online meal-planning service like eMeals. Each week they send new recipes, including entrees and side dishes, along with a complete shopping list organized by grocery store section. (Genius!) This discourages buying unnecessary items while you shop and keeps you from going out to eat as much—because you’re actually excited about eating at home. Our favorite part? eMeals offers a free 14-day trial so you can give stress-free meal planning a try! 8. Take advantage of store incentives. Fuel credits, reward points, shopper’s cards: Figure out which stores offer the best—as in, most useful to you—incentives. Not all are created equal. 9. Test out grocery stores. Loyalty is a highly desirable quality in friends and employees, but don’t let your blind loyalty—or your creature-comfort tendencies—keep you going back to a grocery store that isn’t serving your budget well. As the old Motown hit explains, “You better shop around (shop shop).” Look online at store promotions. Ask friends where they go and why. Those who say they like the music selection over the loud speaker aren’t the ones to listen to. Those who say they started saving hundreds when they switched grocery stores are. With all that gathered information, step foot into someplace new. Test it in real life! 10. Order your groceries online. Have you looked into buying your groceries online? Now you can fill your virtual shopping cart from anywhere. Check into your options: delivery or pickup. Consider the added costs. Some stores don’t charge for this service, while others do. But don’t let the fee discourage you. If you get sidetracked in the actual store, this option can force you to shop with a plan. You’ll probably save more in the long run, fee or no fee. Plus, as you fill that virtual cart, you can easily watch what you’re spending. You can delete some items or look for cheaper options before you check out, and you’ll never be surprised by the total in the end. Whether you clip or click them, don’t forget their potential. Most supermarkets have mobile apps full of coupons that will score you great savings. Download the apps to use as you make your grocery list. Always remember—never buy something just because you have a coupon or it’s on sale. If you aren’t going to eat it, you don’t need it. Not in your personality. In your brand choice. Many times, the off-brand and name-brand items differ very little in actual ingredients or quality. That isn’t always true. And it’s fine be picky about your favorite cereal, chocolate or coffee as long as you budget it in and plan to save in other places. But give generic brands a chance. Sometimes you like a look and have heard a name because that company spent more on design and marketing—not always because they’re delivering a higher quality product. 13. Look at price per ounce. Which is a better deal: the 5 ounces of sour gummy bears for $2.95 or the 10 ounces for $7.95? Does it feel like math class? Thankfully, most stores do that division for you, posting the price per ounce right on the tag. When in doubt, your phone is also a calculator. Price divided by ounce equals price per ounce. Bigger isn’t always cheaper. Plus, don’t buy the larger bag of spinach if you know half of it will go bad before you can eat it anyway. That’s wasteful, not frugal. You know the best way to get derailed from your shopping list? Bring the kids. Even if they don’t ask for all the toys and treats they see, their sweet chitter-chattering can cause you to lose focus. Shop alone, and your ears and eyes can be on the shopping and saving prize. The smell of freshly baked bread, cakes and cookies is a temptation to all warm-blooded carb lovers. It beckons to you from the moment you walk through those automatic sliding doors. But if it isn’t on your list, don’t let this aroma lure you into unnecessary purchases. Bulk purchasing isn’t always the best way to save—but it very often is. Ask yourself these questions: 1) Can I eat it before it’ll go bad? 2) Is the price per ounce cheaper? 3) Do I have space for this larger quantity? 4) Will I use it? I mean. Really? Your answers will reveal whether buying in bulk is the best deal for you. 17. Don’t use credit cards. The reason credit cards become such a trap is because they get us in the mind frame of spending play money—or of putting off until later the money problems of today. Even if you’re in the routine of paying off your balance at the end of each month, it’s too easy to overspend when the money isn’t actually coming out of your hand or bank account. 18. Track your grocery spending. Once you get home from the store, or before you even leave the parking lot, enter your grocery total into your budget. The EveryDollar app makes it super easy to track every purchase—and tracking grocery expenses is the best way to keep from overspending your grocery budget line. 19. Keep non-food items out of your grocery budget line. Don’t forget to split your transactions if you pick up household or beauty items along with your groceries. You don’t want your toilet paper purchase wiping out your food budget line. 20. Get real at the end of the month. Give yourself a little reality check as you’re closing out your budget at the end of the month. Look at what you’ve budgeted versus what you normally spend. What’s off? Are your expectations unreasonable, or is your spending? Both can be adjusted. You’ll just need to work at it. Make changes where you need to—your spending habits or your budgeted amount—for the next month. The early bird gets the worm, and the early eater gets the deals. Plenty of restaurants offer discounted menu options for people willing to eat outside of the normal bustling dining room hours. You can still eat at your favorite places while paying quite a bit less. 22. Have a late lunch. Instead of dinner out, what about lunch? Eating at a restaurant before prices flip to dinner and when lunch specials are still on the table (yes, we said it), gives you that dining-out experience without the evening price spike. 23. Sign up for emails. We know the last thing you feel your inbox needs is another promo email subscription, but the deals that come through can be worth it. Exclusive offers, reminders of routine specials, and digital coupons will pop up with no effort on your part beyond the initial sign-up. You can always unsubscribe later if the emails aren’t offering enough to make up for the inbox clutter, or if you stop craving that coconut-cream-pie-flavored donut that once drew you into the local artisanal donut shop doors in the first place. 24. Buy used or discounted gift cards. You can purchase gift cards online with sites like Cardpool and Raise. Check out your warehouse store for deals on gift cards to your favorite restaurant, or check your grocery store for dollars-off gas cards with a minimum purchase. Cheers to a 10–20% discount! 25. Get a birthday discount. “Happy birthday to you! Happy birthday to you! Now get all the discounts that you can accrue!” If you already know where you want to go on your special day, sign up for their online birthday club now. They’ll probably send you a buy-one-get-one coupon or a free appetizer or dessert. But don’t limit it to birthday dinner deals. Your favorite coffee or confection shop may want to celebrate your birth as well. You can live it up like it’s your birthday (because it is) without paying for all the goodness. If your restaurant of choice offers complimentary bread or chips and salsa, you can forgo buying an appetizer. Save yourself $8 by nibbling on the free stuff before your entrée comes. Look at any menu these days, and you’ll notice buying a beverage is the latest extravagance. You can purchase a dessert for the same price in many instances! A quick way to save cash when you’re eating out is ordering a glass of water (not bottled water, mineral water, or water gathered in solid gold buckets in the fresh springs of Iceland). Don’t drink your dollars away in tea and soda. Portion sizes today can get out of control. Save calories and cash by splitting a meal with someone. If it isn’t quite enough food, catch a restaurant at half-price appetizer time, add one of those into the mix, and you can fill up for less. 29. Pick places without servers. If you love the feeling of eating out, you can also save that 18% by picking places where you serve yourself. You know, the kind where you order before you sit. You’ll still get the restaurant vibe but without the additional tip cost. Because listen—when you’re eating out somewhere with a server, you need to budget at least an additional 15% (preferably 20%) for a tip. Serving jobs often pay practically nothing, and these workers thrive on what you provide for their service to you. Saving money by skipping the tip is not cool. Don’t throw away those leftovers! And don’t eat beyond being full. Instead, box it up and take it home. You can get two meals for the price of one! 31. Order like a kid. If the kids’ menu doesn’t say 12 years or younger, please, then take advantage of that child portion and price. If you need a little bit more, add on a side. You’ll still come out ahead—or behind, technically—in cost. 32. Go on a Monday or Tuesday. Having a case of the Mondays gives people the overall blahs—and apparently makes them too tired to eat out. It seems that desire doesn’t return until hump day, so Mondays and Tuesdays are both low traffic days for most restaurants—which means promotions aplenty. Take advantage of these by eating out on less popular days. Fixed-price menus are becoming increasingly popular for major holidays. For $49 a person, you can get a three-course meal, but what if the entrée you want is only $15? Um. No thanks. If you’d like to eat out for Valentine’s Day or Mother’s Day but want to avoid the upcharge of your celebratory meal, try going out the day before or the day after. 34. Save your lunch money. Making your lunch at home or bringing in leftovers is a major way to save serious cash. If you’re eating out for your mid-meal five days a week, you’re spending $25–60 a week. This is an easy $100–200 a month you could free up by changing one habit. It requires forethought and shopping for an adult lunchbox (or reawakening your youth with a superhero or unicorn theme). But the benefit beats the bother! 35. Use or sell your gift cards. Check the back recesses of your wallet and catchall kitchen drawer. How many half-used or never-used gift cards can you find? Even the ones that have a dollar or two left come in handy—a discount is a discount! And what about all those cards to stores you’ll never shop at? Turn them into cash or cards you will use! Do a gift card swap with friends or check out the previously mentioned Cardpool or Raise. 36. Stop using credit cards. One of the quickest ways to save money is to spend only what you actually have. Stop using credit cards. Yes, we said it before, but it’s worth repeating. On top of that, don’t be lured into taking out a store credit card. They trick you into turning today’s wants into tomorrow’s problems—or thinking the spending doesn’t really even count. The rewards they promise aren’t worth it. Don’t go in debt for coffee, haircuts, computers—anything! Stop using credit cards today, and you’ll start owning your spending habits instead of owing interest. That kind of accountability is a life—and money—saver. 37. Keep a shopping list on your fridge. When you notice you need more toothpaste, toilet paper or tea, make a note on an ongoing shopping list. Don’t wait until the last minute for those first two—or anything, really. Quick trips out for this and that mean spending extra on this and that, plus gas. These extra outings add up. Instead, keep your eye on your items and make note when supplies are getting low. You can pick these items up on your regular shopping trip to make sure you grab the best deals. If you want expensive hair or face products that make you look and feel your best, then work that into your budget. But just like your groceries, go generic when you can. Do you need designer dental floss? We’re guessing no. 39. Take advantage of dollar store deals. You shouldn’t buy everything for a dollar, but some things are excellent deals, especially for gifts. A witty or motivating mug with hot cocoa and a bag of peppermints would cost you around $3. Kid sunglasses (for littles who lose and break things) plus a plastic bucket and shovel would make for a splendid beach vacay present. Gift bags or greeting cards for any occasion abound. Visit your everything-for-a-dollar store to see what items are good enough quality to make them a good deal. 40. Buy gently used clothing. Get your thrift on! Get into Goodwill or consignment shops. Search online at Poshmark or ThredUP. You don’t have to buy new to buy well. 41. Find deeply discounted running shoes. Go to that fancy-schmancy shoe store, get sized, try on different brands—but don’t buy. Take your newfound foot knowledge online and search for overstocks, less popular colors, or even used pairs. With all you save on those running shoes, you can buy compression socks and a couple extra sticks of deodorant. 42. Search online for promo codes. Google, RetailMeNot.com and Coupons.com are your three new best online friends. Before you buy, search for discounts. Percentages off, free shipping, or specific-item discounts will pop up before your very eyes. It’s like pulling a rabbit out of a hat. Only better, because you don’t gain a rabbit to feed and clean up after. 43. Buy the men’s version of some products. A study of gender pricing done in New York City shows that women’s products cost more than men’s products 42% of the time. (1) Why are women’s razors twice as expensive as men’s? Is it the pink? It’s the pink, isn’t it? Well, until they figure out how to make things pink in more cost-effective manners, consider buying the blue triple-blade option. This works with other products as well: shave gel, hair care and even plain white T-shirts! 44. Get a library card. Know what’s better than cheap? Free! Okay, not all the time. A half-eaten burrito in the garbage is free, but not a good idea. Libraries, however, are a good idea. Check out books and movies, enjoy their programs, and sign up for eBook and audiobook options as well. Unlike that trash burrito, your free library card brings a wealth of goodness. When we plan activities, why do we default to things we have to pay to enjoy? The great outdoors boasts incredible no-or-low-fee adventures. Take a hike, fly a kite, ride a bike. Get some fresh air and feel the wind in your hair. Eat outside, walk outside, talk outside. Nature offers oodles of opportunities for dates, family outings or even some much-needed alone time. According to a recent report, there are roughly 3.8 billion customer loyalty memberships in the United States. (2) Take advantage of these to score deals on restaurant meals, airline tickets and more. Start by visiting the websites of your favorite restaurants or clothing stores to see if they mention perks for frequent shoppers. Of course, if you see the program involves signing up for a credit card, run quickly in the opposite direction. You don’t need that kind of negativity in your life. 47. Sign up for balance alerts. Money spent on overdraft fees is like cash flushed down the forgetfulness toilet. If your bank allows you to set up a notification when your account is running low, do it! You can even set the amount. This free service is a great way to stop the fees before they start. 48. Make your own coffee. If you find yourself handing over cash for coffee every morning because it’s easy or quick or delish, drop that habit for a set period of time. Buy and brew your own. You might find a new taste for savings. Or you might work fancy coffee back into your budget now and then as the treat it truly is. 49. Get creative for date night. Think quality time over quantity spending. You don’t have to pay a lot to enjoy each other’s company. Eat out, but enjoy movie night in. Eat dinner in, then grab your dessert out. Stroll through a local thrift shop and try to find the oddest item. Download a stargazing app and enjoy nature’s night-lights. Sit around your own backyard firepit and ask questions about your hopes and dreams. Is it all sounding like a Hallmark movie? Good. That’s how you know it’s romantic. 50. Negotiate with your internet provider. Most internet providers offer an introductory rate and then try to hike up your rate by $30 to $40 when it’s time to renew. Call them and ask if they can do better. Keep calling until someone is willing to listen and lower your rate. Be as annoying to them as their telemarketers are to you. 51. Check out cash-back apps. Ready to kick app and take names? Start downloading money-saving apps. First, look into cashback offers like Ibotta, Receipt Hog and Dosh. You can get rewards in the form of cash and gift cards for your regular shopping habits! 52. Download those coupon apps. Honey, SnipSnap, Target App: Each of these save you money up front by showing sales and offering coupons without the hassle of snipping and sorting—and then remembering—all those pieces of paper. 53. Don’t forget deal-scanning apps. Try out GoodRx, ShopSavvy and the Coupons.com app to search for the best deals and prices on the things you need. And don’t forget the honey—meaning Honey, the browser extension that searches through the best coupons available for a store’s site and applies it to your cart at checkout! Sweet. 54. Save more with store apps. Walmart’s Savings Catcher, Target, and Whole Foods all provide offers, discounts and deals for these stores. Scan your Walmart receipts into the Savings Catcher, and it searches for stores offering a lower price. If it finds a better deal, it gives you the difference. That’s price matching for the modern age. Target’s app pulls up deals you can download and scan at the register. Whole Foods teamed up with Amazon. If you’re a Prime member, the Whole Foods app brings store savings (plus an extra 10% off sale items) to your fingertips. 55. Have a heart: test out some health and wellness apps. Whether you’re training to run your first race, trying to get cut like Mount Rushmore, or keeping an eye on your caloric intake, you don’t have to pay for a gym membership, personal trainer or wellness advisor. Just download one! Map My Run, My Fitness Pal, BeachBody, Happy Scale, Ultimate Food Diary—the options are nearly endless. Some are free, some charge a fee, but all put your path to wellness in the palm of your hand. 56. Get it together with organizational apps. When you realize it’s time to get your life together, you might be tempted to buy a $200 planner and the accompanying supplemental stickers and motivational pages. If a pricey physical planner is your yearly spending pleasure because it helps you streamline every part of your day—then budget for it. But if you’re bettering yourself on a budget, check out Wunderlist or Grocery iQ to plan grocery lists and EveryDollar to create your budget. And don’t forget to make use of the built-in calendar and reminder apps already on your phone! There are plenty of financial reasons to downsize. Maybe your mortgage is taking up a huge chunk of your income, your baby birds recently flew off to adult on their own, or you just don’t need a place in the center of the action anymore. If any of these apply to you, it could be time to move on. Literally. Maybe it sounds counterintuitive. How does spending more on your mortgage help you save more on your home? Because, interest. Each year you keep your mortgage, you pay more interest! If you make just one extra house payment each quarter, you can pay off your house five years sooner! So it’s the long game in savings, true, but the size of the savings is worth the wait. People refinance when they want to pay a lower monthly payment, drop their interest rate, or switch from a longer loan to a 15-year fixed-rate mortgage. That last change might mean a higher monthly payment, but it’ll bring you into that 100% debt-free lifestyle far quicker—freeing up a huge amount of money to save, invest, give and spend on travel. Refinancing doesn’t make sense for everyone, but it’s worth looking into if you have equity in your home, an interest-only loan, a high interest rate or a mortgage with more than a 15-year term. 60. Do a YouTube reno. It’s pretty fantastic what you can learn to do on YouTube these days—things like minor home renovations and repairs, for example! This online video wonderland comes in quite handy when you’re needing to fix a simple leak in your toilet but don’t want to pay an hourly rate for what might be a five-minute job. Please note: Certain jobs—such as electrical or structural repairs—should be left up to the professionals. Don’t risk life and limb to save money! When you do need to hire an expert, for safety or your own sanity, consider doing a trade. They rewire the lighting fixtures in your kitchen, and you tutor their kid in Victorian poetry. They replace your missing or damaged roof shingles, and you give voice lessons to prep them for their audition on “So You Think You Can Sing.” They . . . you get the idea. Barter your talents for theirs, and everyone comes out ahead. It’s time to break up—with cable. Pull out your best “it’s not you, it’s me” speech. Because you are ready for a better, cheaper option! Netflix, Hulu, Amazon Fire TV Stick, Apple TV, Sling TV, YouTube TV. Cutting the cable and adding in a less expensive option can save you up to $1,000 a year! (3) Now you can binge your favorite rom-com or medieval dramedy series for far less. Chances are, you could be saving more money on your fixed monthly bills. These are easy to overlook because you’ve probably paid the same amount every month for what seems like forever. But are you missing out on special rates for your cell phone? Internet? What about your monthly gym membership—could you walk around the neighborhood instead? Call and ask for deals and do some old-fashioned negotiating. You never know if you never ask. Most people set up their homeowner’s or renter’s insurance and leave it be. But insurance isn’t a slow cooker, and you won’t have a meal at the end of the day if you leave it be. Things change. Check in on your insurance. Be sure to talk to an independent insurance agent. Their loyalty is to you, not a specific company, so they’ll shop around until they find the best fit and rate for where you are in life. You can save hundreds a year with minimum effort. 65. Be more intentional with your utility use. Be intentional isn’t just a motivational phrase to be more present in the moment and thoughtful in your choices. It’s also a lesson to live by with your utilities. Turn off the light when you leave a room. Wash your clothes in cold water. Only run the dishwasher when it’s full. Change out your air filters. Adjust the thermostat when you leave the house. Little changes can add up to big savings. 66. Upgrade to energy-efficient appliances. GasBuddy searches your local area to find the cheapest gas prices around. They even have a GasBuddy card that links to your checking account. (So, not a credit card, of course.) When you use it, you save every time you pump. If you want to save money on transportation, look into Hytch, Swift or NuRide. These reward you for carpooling! Not all states have the same offerings, so find out what’s available to you. 69. Stop making car payments. Did you know there are about 100 million auto loans floating around out there today, totaling about $1 trillion? (5) Our next tip is not to be one in a million. Or, specifically, one in 100 million. The number one way to save money on your ride is to eliminate your car payment. With the average car payment being $525 per month, that’s a lot of savings to be had. (6) A good rule of thumb is this: If you can’t pay off your car in two years or less, sell it. Use the profits to pay off the remainder of your loan and buy a cheaper car in the meantime. You can always save for your dream car down the road. 70. Pay cash for your next vehicle. Instead of $525 going to a car loan, save it up! In a year, you’d have $6,300. In two, you’d have $12,600. Save until you can pay cash for your next vehicle—then you’ll own it instead of owing someone for it. 71. Save on auto insurance. You could have an outdated policy—or worse, you could be overpaying. Independent insurance agents can shop and compare policies from several companies to find the right coverage at the best price. Amy from Tennessee was able to save $600 a year when she worked with an independent agent. That’s worth a couple phone calls and some paperwork! Find a local independent insurance agent in your area to see how much you can save. Your grocery store may offer discount gas cards or reward points. If you’re picking up acetaminophen and triple chocolate ice cream, take advantage of this! And don’t forget to use your points when you get your gas. Or else, what’s the point? 73. Shop around for repair work. Don’t rely on the dealership to do the work. Ask your friends and family for a reliable, honest mechanic in the area. And before you give the go-ahead on repair work, get a quote and perhaps a second opinion from another mechanic. 74. Carpool when you can. When you’re able—ride with others! Most people think only of the drive to and from work or school when this topic arises, but piling into a van together to get to girls’ night out saves gas and provides the opportunity for some quality car conversation and seat dancing. 75. Check out public transportation. Save mileage on your car and gas money by using a bus or train. A monthly pass costs less than a month’s worth of one-day tickets, and they’re easier to track. Plus, when you aren’t driving, you can spend more mental energy focusing on your favorite podcast, planning your next birthday party theme on Pinterest, or even reading through the classics. Save money and free up some mind space. As you’re working through some of these, remember: The first step to saving is having a plan for your money. That’s what EveryDollar’s here for! This budgeting app will reveal your spending habits and help you reach each saving milestone. And—it’s free! Sign up today and show your spending who’s boss.